Kostenko, A, Batenburg, K.J, King, A, Offerman, S.E, & van Vliet, L.J. (2013). 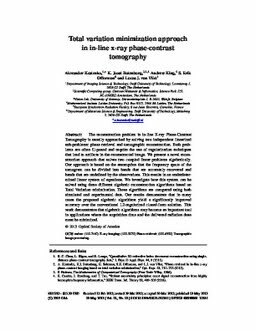 Total variation minimization approach in in-line X-ray phase-contrast tomography. Optics Express, 21(10), 12185–12196.